We’re here to help you do the things that matter most, with the people who matter most. Now and years from now. Because when you’re in control of your money and start realizing your financial goals, planning looks less like planning and more like living. Spend your life living®. 07-1000 © 2018 Northwestern Mutual is the marketing name for The Northwestern Mutual Life Insurance Company (NM), Milwaukee, WI (life and disability insurance, annuities, and life insurance with long-term care benefits) and its subsidiaries. John Daniel Rivers Jr is a General Agent(s) of NM. Managing Partners are not in legal partnership with each other, NM or its subsidiaries. John Daniel Rivers Jr, is a Registered Representative(s) of NMIS. John Daniel Rivers Jr, is a Representative of Northwestern Mutual Wealth Management Company®, (NMWMC) Milwaukee, WI (fiduciary and fee-based financial planning services), a subsidiary of NM and federal savings bank. All NMWMC products and services are offered only by properly credentialed Representatives who operate from agency offices of NMWMC. Try the Treyton Oak Towers Life for 90 Days...immerse yourself in the Art of Retirement Living. For 35 years, Treyton Oak Towers has been spicing things up with a lively mix of trendy and traditional in Old Louisville. Our apartments are one of kind where you can customize your home! Plus, youâ&#x20AC;&#x2122;ll enjoy countless amenities, from a fitness center, massage suite, greenhouse, art studio and aquatic therapy to fine dining, a bank branch, a dentist, a beauty salon and more. And weâ&#x20AC;&#x2122;ll keep you busy with lectures, concerts, trips, movies and special events - and plenty of friends to share them with just minutes from downtown and Nulu dining, arts, sporting events, galleries and more. All in a warm setting with a caring staff that takes your comfort to heart. Treat yourself to a retirement lifestyle like none other. Visit treytonoaktowers. com or call (502) 5893211 today for details, or to schedule lunch and a tour. And get ready to fall in love. DELIVERING NATIONALLY RECOGNIZED, LIFESAVING HEART CARE. THAT’S WHAT GETS OUR BLOOD PUMPING. In Louisville, there’s no better place for your heart than Baptist Health. We offer the latest advances in cardiovascular care, delivered with compassion and skill by an expert team of specialists. We have received national recognition from U.S. News & World Report and the American Heart Association. And we have been awarded the highest rating by The Society of Thoracic Surgeons. Dedicating our lives to taking better care of your heart; that’s cardiac care centered on you. Visit BaptistHealth.com/HeartCare to learn more and take a heart risk assessment. Add alittle red to your delivery. Your preferred local florist now delivers your preferred spirits, too. Sonomaâ&#x20AC;&#x201C;Cutrer is a registered trademark used with permission. The views and comments expressed by the authors are not always that of our editors or publishers. While every effort has been made to ensure th accuracy of the information in this publication, TOP Marketing Group accepts no responsibility or liability for any errors, omissions or resultant consequences, including any loss or damage arising from the reliance on information in this publication. 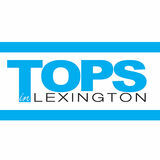 All images contained in TOPS Louisville magazine are subject to the copyright of the artist or photographer as named, but not limited thereto. Reproduction of any part of this magazine without prior written permission is prohibited. ABOUT OUR LOCATION: WaterSide at RiverPark Place at 1500 River Shore Drive is a luxury rental community on the river featuring two outdoor pools, sand volleyball courts and a beautiful 18,243 square foot outdoor public plaza which includes a dog park, ﬁre pit, grilling areas and more. Residents enjoy views of downtown, RiverPark marina and the Ohio River as well as proximity to Waterfront Park, the Big Four Bridge, Downtown, Butchertown, Frankfort Avenue and NuLu. All units include granite counter tops, panoramic views from ﬂoor to ceiling windows, washer and dryer oversized walk-in closets, twenty-four hour on call maintenance, secure parking, dry cleaning and a twenty-four hour ﬁtness center. The third, luxury building, featured in our fashion story, is close to completion and will include quartz countertops, waterfall kitchen islands, oversized private patios and balconies and nine foot ceilings. For more information, go to watersideatriverpark.com or call (502) 688-5178. Confidence by Digenis Let your beauty bloom with our March special. Purchase a Microneedling package of 4 and receive your 5th microneedling treatment complimentary! A Louisville institution for 154 years. Our gifts celebrate all occasions and seasons. CHENOWETH SQUARE Your source for fresh seafood in St. Matthews. We are here to help you find that special look for all occasions! Your source for stylish, fun, and affordable women’s accessories including jewelry, handbags, scarves, tops, wraps, and much more. there’s no place like home …especially if yours is designed and decluttered to make life less stressful and more comfortable. This issue is full of ideas that can elevate your living spaces— from the latest in luxury building features to renovation inspiration to organizational how-to from local experts. The advice extends to your outdoor living spaces with gardening strategies from our Urban Farmer Kevin Broady, as well as everything you need to know about buying chickens and coops. These big and little upgrades for interiors and exteriors should help get you ready for… you guessed it, Derby. Our city’s special season is fast approaching, which is why, once we’ve covered how to dress your home, we’ll get started on how to dress you. Our color-drenched Spring fashion preview, photographed in a new, sleek, riverfront complex at Waterside at River Park Place, provides fresh answers to any what- should-I-wear musings. 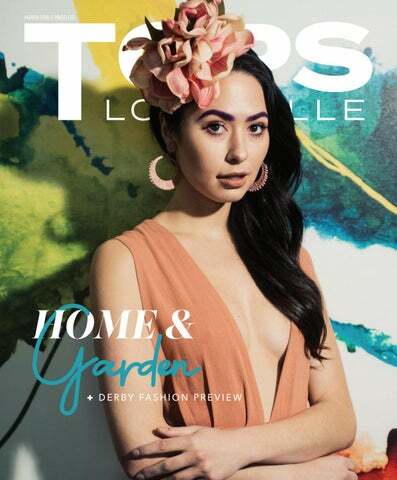 Then there’s also farm-totable dining, real estate news, gala and fashion show gossip and a sneak peek at this year’s exciting updates from the Kentucky Derby Festival. We hope this idea and information packed issue will help you put this dreary, drippy winter behind you and kick off a bright new season. Offering the most unique wedding & party invitations and gifts for every occasion. 20 years of helping Louisvillians create their dream bed with personalized service. We pride ourselves in specializing in safe, sanitary, and truly customized Eyelash Extension applications. Offering Stuart Weitzman, Aquatalia, Thierry Robotin, Judith Leiber, Stefano Bravo, Eric Jevits, among so many others. Your place for interior design, furniture, accessories and great gifts. Fine quality furniture, accessories and gifts for outside – and inside – your home! Your one-stop-shop for quality residential and commercial design, staging and renovating. CHEDDAR BOX TOO! Cheddar Box Too! We are committed to continuing the great tradition that made The Cheddar Box what it is today. Our purpose at Cheddar Box Too is to create an experience so positive and enjoyable that you will recommend us to your friends and family. We encourage your comments and welcome any suggestions that you may have. We want Cheddar Box Too to be just as much “your place” as it is ours. Over the past 22 years, all of us at Bedded Bliss have loved helping our clients create a new or refreshed boudoir. Bedded Bliss is quite excited about the evolving trend in home decor, which simplicity is key, and we Q the look! Other big news includes a makeover for the iconic festival pin which has been changed from the traditional Pegasus to a tiny, pink festival jacket. “They’re very eye-catching and we’re getting great feedback,” says Stacey. “It adds to the buzz.” Equally eye-catching is this year’s poster, which will be unveiled on the fourteenth of this month at Mellwood Arts Center at Festival Unveiled, the first official event. The 2019 Trifecta Gala takes place on Friday, May 3, at 7:00 P.M. at The KFC Yum! Center. General admission tickets are $795 each, while various reserved and VIP experiences start at $1,060. Tickets are on sale now. For details visit trifectagala.com. ehind all the glitz of their fabulous fashion shows, there’s a simple mission. “We want to provide a network of resources for local creatives in the fashion industry,” says board member Roxanne Dunway. “While, originally, the focus was on designers, we’ve evolved to include models, photographers, videographers, and stylists. Fashion is a collaborative discipline and there are a lot of different players who can help each other succeed.” As the membership has evolved and expanded, the goal to elevate the local fashion community has remained front and center. We’ve increased our fashion show attendance every year and we’d like to see it grow even more. We want people to see what’s being created locally and really get behind it, buy it and talk it up. Last year’s Bespoke show at The Speed brought together a gathering of fashion enthusiasts both on the runway and off and was a step in the right direction. The third show since the collaborative’s formation was a far cry from their first in an abandoned warehouse in Portland. “There were a hundred people and we were completely new at this,” says Bespoke founder Yamilca Rodriguez. “We had no idea what to expect and neither did the audience.” The outcome of that first show was a new awareness and respect for locally designed and produced fashion; four years later, the interest continues to grow. The fourth annual Bespoke Spring Fashion show, “Make Your Mark,” will be held on Friday, April 12 from 6:00 to 10:00 p.m. at The Speed Art Museum. It includes drink, appetizers and swag bag. Tickets range from $45 to $65 and can be purchased at the door or on line at Eventbrite.com. It’s a ﬁne time to start work with a therapist or to work on wellness from a body, spirit and mind perspective. Continue to expand your world through travel this year. Welcome new friends and opportunities to socialize. This New Moon will also offer new opportunities via social media, networking and technology. Continue to work on all areas of ﬁnance this year. This will be the year you break new ﬁnancial ground! The New Moon gifts you with a new career opportunity that you will love. New and exciting career options should present themselves after this new moon. Share your ideas, your business plan or resume with VIP’s. Embrace business and marriage opportunities now. You may plan to expand your horizons with a trip overseas, a new educational journey, a publishing opportunity or all three. This lovely new moon will have you delighted with new visions for your future. Take time for ﬁtness and wellness as well. Lucky Leo! You will be fortunate with this new moon with a big new client or investment opportunity. It may also bring an exciting loan or mortgage approval as well. If you have a business or work with clients, you could land a big one within two weeks of this new moon. If waiting on a settlement or inheritance news may come now. Schedule some time for fun, love and romance. The New Moon brings excitement about a new partnership opportunity in business or love. You may ﬁnd yourself moving in with a partner or getting engaged or married within two weeks of March 6th. Focus on home, family, and real estate as they are hallmarks for ultimate joy and success. presented to you. It will have a level of creativity as Pisces rules music, ﬁlm, and the arts. Focus on digital marketing, self-promotion, and wonderful time with siblings. The new moon in Pisces on March 6th falls squarely in your house of love, romance, creativity and children. Love and romance can hit such sweet notes at this time. If trying for a baby or adoption, now is a good time to try or you may hear back news within two weeks of this New Moon. Focus on continuing to nurture your work and how you earn an income passionately. Home is where your heart is during the early days of this month. A new real estate opportunity may be available to you. You may be planning a trip home to visit family, start a search for a new home or property or be closing on a home. This new moon may ultimately represent a move. Realize today will be different than yesterday and you are going into some of the most exciting and happy times of your life. The New Moon will bring a new delightful contract you will celebrate. Capricorn I must also mention the full moon in Libra on March 20th as you will see a career dream come to fruition. Just your type of news, Capricorn, as your sign rules career for the entire zodiac. Focus on listening to your higher self and inner hutches… meditate. Aquarius: the water bearer (Jan 20-Feb 18) Have you been toying with the idea of creating a new stream of income? Well, your lucky March stars say you’ll have new opportunity for just that! Just after the new moon, a new career opportunity may just turn up or may be in the works. Friends and social networks are your gift. Nurture them. Expect exciting new beginnings that involve your entire life. This new moon will be deeply personal to you, Remember: You hold the key to making your career dreams a reality this year! Etcetera is located at 4913 Brownsboro Road. Call (502) 438-9463 for more information or go to etceteraoﬂouisville. net for printing orders. Bourbon recipes. Each of the 10 recipes has its own unique ﬂavors and aromas. We use these 10 recipes in various combinations and proportions to create variety in the ﬂavor characteristics of the different Four Roses labels,” he says. Four Roses Distillery is the recipient of numerous awards, the most recent being that its 130th Anniversary Limited Edition Small Batch Bourbon won World’s Best Bourbon at World Whiskies Awards. Visit the distillery, situated on the scenic Salt River in Lawrenceburg, or the unique single-story rack warehouse and bottling facility nestled in the quiet Kentucky countryside of Cox’s Creek. You’ll be able to enjoy the barrel to bottle experience and will learn the intricacies of how Four Roses Bourbon has achieved its distinctive mellowness. And, you’ll be invited to sample the Bourbon to taste for yourself why the family of Four Roses products has earned an exalted place in bourbon history. 3626 BROWNSBORO ROAD LOCATED IN CHENOWETH PLAZA Posh Home features a thoughtfully-curated mix of furniture, lighting, rugs, art and gifts. Its inspired interior design services and decorating ingenuity have caught the attention of the New York Times, Luxury Real Estate and Style Blueprint. Owner Brittany Bennett sources on-trend items in all price points, providing an intriguing mix of merchandise that enhances the lifestyles of customers with varying tastes and interior design visions. “No project is too small. We can take on anything from styling an entryway to ordering custom pieces of furniture to outﬁtting an entire room. Our clients love that we are able to ﬁnd one-of-a-kind pieces from our vast network of vendors across the country,” says Bennett. She and her staff work so closely with design and retail clients that they often become friends. And to Bennett, there’s nowhere better to celebrate friendship than in a home that is designed with warmth and individual personality. For Jessica Moreland, the key to success is simple: it's all about fun. "Come on, I get to play with clothes all day," she says with a laugh. "What's not to love?" Sassy Fox is her pride and joy, and she has a wonderful time every day with her customers and staff. "Sometimes we have impromptu dance parties. We always know we're busted when we hear snickering shoppers," she says. The unique boutique in the heart of St.Matthews is always loaded with beautiful clothes at fantastic prices, and the welcoming environment you will ﬁnd there is sure to be a bright spot in any visitor's day. As Spring approaches Jessica and company are preparing to kick into high gear, with loads of beautiful clothes awaiting your perusal. There's even a special event or two on the horizon. You can follow Sassy Fox online at Instagram and Facebook for more details, and visit them at 150 Chenoweth Lane. TOUR & DESIGN SHOW 12 HOMES. 12 INTERIOR DESIGNS. 1 TICKET TO SEE IT ALL. Mix hues FLORAL FASCINATOR, $74, AT SIX SISTERS. JUMPSUIT, $158, AT TUNIE’S IN WESTPORT VILLAGE. EARRINGS, $58, AT THE PEPPERMINT PALM. Make it match CROPPED TOP, $45, AT APRICOT LANE IN WESTPORT VILLAGE. FLORAL PANTS, $58, AND EARRINGS, $18, AT SIX SISTERS. BACKLESS MAXI, $78, AT SIX SISTERS. EARRINGS, $68, AND BED STU SHOES, $165, AT TUNIEâ&#x20AC;&#x2122;S IN WESTPORT VILLAGE. FLORAL FASCINATOR, $94, AT SIX SISTERS. ROMPER, $49, AT APRICOT LANE IN WESTPORT VILLAGE. Go green (and navy) JUMPSUIT, $55, AND BRACELET, $25 EACH, AT APRICOT LANE. EARRINGS, $58, LILLY PULITZER CLUTCH, $148, AND SANDALS, $158, ALL AT THE PEPPERMINT PALM IN ST MATTHEWS. Think tropical JTK DRESS, $220, LISA LERCH EARRINGS, $68, AND BED STU SHOES, $165, AT TUNIEâ&#x20AC;&#x2122;S IN WESTPORT VILLAGE. BRACELETS, $25 EACH, AT APRICOT LANE IN WESTPORT VILLAGE. Checks, please THE HAT GIRLS FASCINATOR AT THE HAT GIRLS IN NORTON COMMONS. ROMPER, $55, AT APRICOT LANE IN WESPORT VILLAGE. BAG, $318, AT TUNIEâ&#x20AC;&#x2122;S IN WESTPORT VILLAGE. Think pink LILLY PULITZER PEARL COLLAR SHIRT, $148, AND EARRINGS, $48, AT THE PEPPERMINT PALM IN ST MATTHEWS. Shine on LILLY PULITZER ROMPER, $178, AT THE PEPPERMINT PALM IN ST MATTHEWS. LISA LERCH EARRINGS, $68 AT TUNIEâ&#x20AC;&#x2122;S IN WESTPORT VILLAGE. The ultimate differentiator and national symbol of recognition and distinction in the Office Imaging industry, PROs Elite 100 certification, is awarded to a very limited number of select organizations displaying world-class service delivery. Only 1 dealer in any market will be awarded this distinction. This industry first certification program recognizes higher levels of performance that have been proven to produce the most customer obsessed, responsive, and productive companies in the Office Imaging Industry. Real Estate BY THE NUMBERS Whether you’re a buyer or a seller, the Louisville Metro area is feeling the crunch. Managing Editor Kevin Broady takes a look into the highlights of the real estate market ups, downs and the trends for the 2019 forecast. The infusion of first-time home buyers in their late 20s and 30s may be the biggest game changer. It certainly wasn't the case five years ago, when many economists worried that this generation (born roughly in the early 1980s through 1996) was struggling with student loan debt and meager savings and postponing families and first homes. A lot of millennials graduated in to the recession and couldn't build up a nest egg, but now that they're a bit older, national data shows they're earning more money and can save for down payments and have "more of a desire for stability" and home ownership. So what does all of this mean to you…whether you’re looking to downsize, upsize, remodel or move? Below, the stories only the numbers can tell. SHOW ME THE MONEY Low— and lowering— interest rates are also helping to stimulate the housing market. On average, the rates for a 30-year ﬁxed mortgage are inching downward (4.5%), which means that buyers can get more housing bang for their buck during this time of year. Interested buyers who want the best deal should act quickly, though, since the spring housing sale season is right around the corner. That usually means an increase in demand and spike in prices. Many industry analysts expect the average rate for 30-year ﬁxed mortgages to hit 5% in 2019, according to Bankrate.com. THE CRANE TEST Over the next ﬁve years, the construction industry will likely become one of the fastest-growing industries, with a 4.5% projected growth rate. According to the National Association of Home Builders, we’re already seeing signs of this impending boom. During the ﬁrst part of 2018, the total number of single-family permits issued nationwide increased 8.4% over the previous year, reaching 279,302.
even more. Although lumber prices have fallen from their record high last spring, new tariffs on imports from China include close to 600 products related to home construction, representing roughly $10 billion in goods. But these challenges won’t stand in the way forever. As builders and local communities devise new solutions for addressing the housing shortage, these innovations will help pave the way for the construction industry to reach its growth potential. BUYING & SELLING Here’s a snapshot of home sales in 2018.
residents between their late twenties to early forties. These mostly single adults or adult roommates are divided evenly between genders at ﬁfty percent female and ﬁfty male. There, an average two-bedroom home is priced at $124,800 and rents for $500 to $750 a month. These homes are being purchased, updated or remodeled as the millennials’ ﬁrst home investment. This area is close to the University of Louisville, downtown nightlife, culture, museums and major shopping sources. It’s one to watch over the next few years. Creating architectural plans, estimates and overseeing your Remodeling Projects. Call on General Contractor Amy Wagner for Kitchen, Bath and Basement Remodeling. Blooming Beauties: A Guide to Cool-Season Gardening Spring is a special time in the garden. Everything is fresh and full of promise. There are minimal weeds or pests and new blooms can be so enchanting. Managing Editor and lifelong farmer Kevin Broady shares his tips for planting and preparing for a cascade of color. arly spring flowers are the surest sign that warmer weather is coming. There’s nothing like a patch of gently nodding golden daffodils to raise your spirits. But daffodils aren’t the only spring bulbs to herald an end to dark winter days and bring color to the garden. If you plant thoughtfully, you can enjoy blossoming flowers throughout spring and summer. Here, a few tips and techniques to help you create a continuous profusion of color. WATCH YOUR TIMING In the Louisville area, the typical last frost date is April 20, so be cautious when planting cold-sensitive plants before this date. The date may vary so watch the weather forecast closely. You can plant cool-season annuals such as pansies and primulas as early as mid-April, since they can tolerate a light frost. These plants will perform best during the cooler temperatures of early spring and will generally start to decline when consistently warm summer temperatures set in. The first thing that comes to mind when talking about spring blooms are daffodils and tulips. But it’s important to plant cool season annuals to compliment the spring bulbs you planted last fall. Not only does this add even more brilliance to your beds, but a dense planting of annuals will hide the often-unattractive foliage of the bulbs after their flowers have faded. Ideally, the plants you install will have been hardened off (acclimated to outside growing conditions) by the garden center. If you’re not purchasing plants directly out of a greenhouse, you can harden them off yourself in about a week by putting the plants outside during the day when temperatures are above freezing and back in the garage or in a window well when temperatures are going to drop near or below freezing. There's nothing like a visit to your local garden center in the springtime to find out what's blooming. You're bound to find old favorites and perhaps a few types of flowers you've never seen before. As long as you can provide the growing conditions required, don't hesitate to bring a new plant home and make it part of your own garden. Pick blooming plants for transplanting and don’t forget your seeds to plant later. Choose plants that are well developed with lots of flowers and buds; cool-season annuals do not have much time to develop after planting. There are plenty of pretty ﬂowers that can survive cooler temperatures and start your explosion of color early. Here’s a little advice to help you choose: Violas: Violas are cold hardy, heat tolerant, heavy bloomers with tons of small ﬂowers. Use in containers and border edgings. Plant in full sun during the cool months and partial shade during summer. Pansies: The pansy is the larger-faced cousin of the viola. I like to plant these two annuals together in containers and as a border edging. Petunias: There are many varieties, so read labels carefully to choose the best type for your home. Some are low-growing and spreading, while others are more upright, so they can be planted at the edge of ﬂower beds, in hanging baskets, or in containers mixed with taller cool-season annuals. Snapdragons: Available in both upright and cascading forms, snapdragons are the perfect choice for both ﬂower borders and containers. Plant in full sun, in early spring. They’ll tolerate temperatures down to 40 degrees. Sweet Pea: Plant directly into your garden in early spring. They climb to six feet, so provide a trellis for support. California Poppy: This bright, popular, frost tolerant ﬂower can be direct sown and thrives in cool climates. Argyranthemum: This daisy-shaped bloom is cold hardy down to 25 degrees, which makes it perfect for unpredicted spring freezes. Count on this tough plant to reward you with blooms well into the summer. Plant in full sun. Helichrysum: ‘Silver Spike’s’ silvery, spiky foliage is an excellent complement adding texture and silver contrasts to beds and gardens. This plant will tolerate a light frost. Plant in full sun. Love-In-The-Mist: Their beautiful hues range from ‘Miss Jekyll’ bright blue to the blues, mauvy-pinks and white of the ‘Persian Jewel.’ These work best when sown directly into the ﬂower beds. Dianthus: These 10 to 20-inchtall plants are annuals, biennials or perennials, depending on the variety. Common names include carnations and pinks. These cool-season, sun-loving plants feature large ﬂowers in jewel colors like cherry, salmon, rose, lilac, and white. They look great in garden beds or containers. Keep them well-watered and fertilized. Sweet Alyssum: These fragrant ﬂowers produce plenty of nectar for butterﬂies and hummingbirds. Direct-sow into your yard and watch the show. TO-DO-TIPS: Start some vegetable seeds indoors, such as broccoli, cauliﬂower, brussels sprouts, and cabbage. Prune trees and shrubs while dormant, they’re susceptible to disease if pruned during warm weather. Prune dormant fruit trees; the fruit will be larger if it has more room to grow. Move potted plants to containers that are about two inches larger in diameter than their current pot. Sow grass seed if weather allows. Trees, shrubs, and perennials can be planted as soon as they are available at the nurseries. Keep the roots of mail order plants from drying out and plant them as soon as conditions allow. Fertilize your perennial beds with a balanced fertilizer, such as 6-12-12, and your vegetable garden with 12-12-12. Don’t work the soil if it’s too wet. It should feel like crumbly cake. Late March into April is the best time to apply crabgrass preventers. Count Your Chickens The thrill of fresh eggs and perhaps the allure of farm life, have made urban coops a phenomenon. Managing Editor and lifelong farmer Kevin Broady tells all you need to know about raising chickens in your backyard. phenomenon.” In neighborhoods throughout Louisville, it’s becoming easier to spot a few hens, roosters, and coops here and there, which is having an impact on local businesses growth, farmer’s markets and household incomes. 4.3% of single-family homes own chickens nationwide, while 4% without chickens said they would own within the next 5 years, according to that same report. The USDA also reported that over half (55.6%) believed that eggs from home-raised chickens were better for you than eggs purchased at a grocery store. If you’ve been craving eggs fresh from your own backyard or dreaming of nurturing your own coop full of fuzzy little chicks, here’s what you need to know first. not to let the birds free-range on your property, then they need a secure outside run with a minimal size requirement of ten square feet per bird. This run also needs to be secure from predators reaching into the run, digging under a fence or attacks from above. Check with your city to make sure you can raise poultry on your property, before you go out and invest in your flock. Most ordinances say that all crowing and non-crowing poultry must be kept on tracts or lots of at least half an acre or more. You can have one crowing and five non-crowing birds on less than half an acre. Be aware, be proactive and check with your city or town first. So, listen closely and you just may hear the rooster’s crow to accompany the sunrise. CINNAMON QUEEN: Cackle Hatchery developed this hybrid breed as a cross between Rhode Island Red and Rhode Island White chickens. They produce extra-large, brown eggs, and go into production at an earlier age. This dual-purpose meat and brownegg production lays between 250 to 320 eggs per year. Very gentle and hardy for the outdoors. THE SILKIE BANTAM: This a unique bird with its ﬂuffy feathers will impress at poultry shows, while its tame nature makes it a great backyard pet. They are very broody in general, so if you need help raising chicks of another breed, the Silkie Bantam can handle the job. Different colors: buff, blue, black, and splash. They also lay a white, smallerthan-average egg. RHODE ISLAND RED: This is a hardy breed, with a dual-purpose. They can be raised for meat and have a robust brown-egg production, laying 200 to 300 eggs per year, starting at six-months-old. With red and black plumage and green in their tail and wing feathers, they’ve been a staple in poultry industry since 1904, and a heritage for both personal and commercial use. EASTER EGGERS: These hybrids can be found in all range of colors from white to black and striped feathers to solid. They have a pea comb and are cold-hardy and lay 200 to 280 eggs per year that range in color from pale to dark blue to shades of green, brown and pink. AMERAUCANA: This bearded, tailed strain of the colorful Araucana chicken breed hails from Chile. They can be seen in varying colorful plumage patterns including black, blue, brown, red, buff, silver and white. These beauties produce about two hundred colorful eggs that are blue and green in color. Their lively dispositions make them interesting to have in a backyard ﬂock. COCHIN BANTAMS: This miniature version of the Standard Cochin variety comes in several different colors including blue, buff, red, golden-laced, barred, white and splash. This docile breed features white and black coloring across its feathers. If you’re looking for a tame chicken to keep around the house or farm, the Cochin Bantam is the perfect option. They also lay a white, smaller-than-average egg. U I always tell clients that you can make a huge impact by switching out accent pieces and accessories or by moving them to new locations in your house. pdating your home doesn’t require a complete overhaul. “I always tell clients that you can make a huge impact by switching out accent pieces and accessories or by moving them to new locations in your house,” says Leslie Whitehouse, president of Cherry House Furniture in La Grange. “Bringing in touches of turquoise or coral, or replacing tired throw pillows with some with new patterns, can keep your décor from looking like it’s stuck in a time warp.” We visited her at their spacious showroom surrounded by rolling hills, a pond, bridge and gazebo for some up-to-the-minute inspiration. On these pages, you’ll find her easy-to-incorporate ideas. THINK BLACK AND WHITE: “Black and white is huge for spring,” says Whitehouse. Try adding black touches to your white and neutral décor for a crisp, high-contrast look. MIX CONTEMPORARY AND TRADITIONAL: Here, a modern coffee table, lamps and artwork add a little edge to traditional upholstery. JUST ADD WALLPAPER: Bring in fresh color, pattern and visual “pop” with one wall of paper. Here, a black and white geometric print changes the neutral look of this grouping. TRY GEOMETRY: Layer in a few geometric fabrics, accessories or art pieces for a modernized mood. PLAY WITH PALETTE: Touches of turquoise and color of the year, coral, will brighten and update anything from neutrals to navy. Incorporate them with artwork, accessories, throws and pillows. POP COLOR WITH NEUTRALS: Add brights like yellow, coral or fucshia to neutrals, stark navy or black and white color schemes. “You can do that with ﬂoral arrangements, a few accessories or even tableware,” says Whitehouse. BRING IN SPRING: Leaf placements, leaf-covered throw pillows and fresh greenery can all transition a drab winter space into a spring oasis. BRING IN BLOOMING FABRICS: Floral patterns are back. Layer them with geometrics for an up-to-the-minute mix. OPENING NEW OPENING DOORS NEW IN DOORS IN REAL ESTATE. REAL ESTATE. © MMXVIII Sotheby’s International Realty Affiliates, Inc. All Rights Reserved. Sotheby’s International Realty and the Sotheby’s International Realty logo are registered (or unregistered) service marks used with Affiliates, permission. office isReserved. independently owned and operated. Anand Equal Company, Equal Housing Opportunity. © MMXVIII Sotheby’s International Realty Inc.Each All Rights Sotheby’s International Realty theOpportunity Sotheby’s International Realty logo are registered (or unregistered) service marks used with permission. Each office is independently owned and operated. An Equal Opportunity Company, Equal Housing Opportunity. At the waterâ&#x20AC;&#x2122;s edge, you define your own luxury lifestyle. Sophisticated and indulgent, resort style living is yours. incorporate into your own abode. To help spot the true take-away elements, we asked several members of the team who completed the home— including Tom, interior designer Karista Hannah of Set the Stage and William Branham of Brecher’s Lighting— to give us a room-by-room tour, pointing out notable features that the rest of us non-experts might not spot. On these pages, their helpful insights. We added a long bench under the window and tied in some whimsical pillows. We played up the neutral and added texture. We opted for a beautiful beaded white-washed chandelier that gives a mixture of rustic charm and feminine elegance. The white shiplap ceiling helps reﬂect the light and brighten the space. id-century Modern design may be trending, but one of Louisville’s top designers is adamant that it is more than a trend. “I think we often see aggression of interest, such as on Instagram, and feel like something is a trend based on how it is fed to us, rather than it having the legs to be a persistent design aesthetic,” says Natalie Officer, president of Natalie O Design. “Mid-century Modern is a classic style that has longevity. It would be a misstep to consider it a trend.” The homeowners of this Seneca Park area home are in complete agreement. They fell in love with the house that was built in 1964 by Harry and Roberta Kletter, a couple who designed every room with a purpose. “Roberta was a stickler for details, even down to the positioning of the house, to maximize sunlight for the pool,” notes Morgan Moyer, who, along with her husband Kenny, chose Natalie to renovate the home for their young family. “We were first drawn to the vast space available. We have two kids, Leo, three-anda-half years old, and Frances, age one. Leo has special needs, so having plenty of openness to maneuver with minimal stairs was critical. The simple, Mid-century design was another showstopper for us,” says Morgan. accessories like pillows. Natalie is refreshingly honest about the invasiveness of home renovation, saying it isnâ&#x20AC;&#x2122;t for the faint of heart, especially if a family remains in the home during the project. When discussing with her clients what to expect, she points to the inconvenience and mess that can be involved in removing walls, and the constant presence of tradespeople in the home. The whole idea of a Mid-century Modern home is that it, in and of itself, is art. The lines of a house and the materials were meant to be interesting and organic. It’s a statement piece in which you need less to make it shine by complementing the lines and intention of the architecture. It’s an ease of living that doesn’t come from an ostentatious, overdone home. You have big plans for 2019. Commonwealth Bank can help you finance them. HELOC = Home Equity Line of Credit. All loans and lines of credit subject to credit approval and underwriting guidelines. Restrictions may apply. Ask your banker for details. CALL FOR COMPLIMENTARY DESIGN CONSULTATION OR TO SPEAK WITH OUR FLORAL EVENT DESIGNER. A custom-built colonial in Norton Commons is ﬁlled with thoughtful details designed to accommodate Brian and Nancy Underwood’s busy family of ﬁve. Here, the fun and functional details you’ll ﬁnd beyond the front door. BY ALLISON JONES PHOTOS BY TIM FURLONG JR.
esigning and building a home from the ground up is quite an undertaking. For Brian and Nancy Underwood, their goal in custom building was to create a home that would accommodate every need of their active household. Together with their three children— Lorelai,12; Brixton,6; and Brylan,4— the family brainstormed ideas on how to create spaces that were both functional, fun, and part of their ideal home. Jason Black of Artisan Signature Homes was up to the challenge and formulated the plans that turned their vision into a reality. While the building process is complex and can present its own obstacles, Nancy shares that any “problems” they encountered were more of a positive nature. “Our biggest challenge was having to choose between all of the beautiful options for individual décor aspects,” she says. “My favorite part was thinking about the logistics of where to put each room and how we could really capitalize on the function and fun.” Not surprisingly, their Norton Commons home doesn’t cease to deliver delightful surprises. he kitchen and butler’s pantry is a perfect example of aesthetics meeting pragmatics. The unique design of the pantry provides a place for everything. In the kitchen, a built-in booth surrounds the table and, with two accent chairs, makes a cozy spot for family meals. Open shelves display family collectibles, while the stark contrast of black soapstone counters with timeless white cabinetry adds visual drama. Modern pendant lanterns over the island are another striking statement. “During the school year, we spend most of our time at the kitchen table,” says Nancy. “This is where we eat together, play board games, do homework, and work on school projects.” The kitchen spills into the living room where a high ceiling adds impact. Ombre walls that melt from a dark navy to deep teal create a relaxing visual image reminiscent of the ocean. Built-in firewood holders flank the fireplace while large geometrical mirrors above allow a view of the iron slide that runs from the third to second floor adding a truly unexpected element to the home. Looking for the Perfect Piece of Jewelry? My favorite part was thinking about the logistics of where to put each room and how we could really capitalize on the function and fun. Focus on the big picture in 2019. A firm financial future starts here. Disclaimer: Microderm Infusion and Chemical Peel sessions will vary in length depending on skin care needs and are not intended to diagnose, prevent, or treat any medical or skin condition. You should consult your doctor if you are experiencing any medical or skin care concern. Individual results may vary. Rates and services may vary by franchised location and session. Not all Massage Envy locations offer all services. For a specific list of services available, check with the specific location or see MassageEnvy.com. Each location is independently owned and operated. ÂŠ2019 Massage Envy Franchising, LLC. Green Egg University 101 Class MARCH 23! Springtime Headquarters! People You Know, Products You Trust! SWIMMING and WEEKLY FIELD TRIPS included in day camps at NO ADDITIONAL COST! YMCA SUMMER DAY CAMPS Go on exciting field trips, swim each week and make new friends. We have over 30 locations! View all of our camps and register at ymcalouisville.org. 10 Magnolia takes farmto-table to a new level. The restaurant’s “yard-to-table” uses the produce that’s grown at an on-site greenhouse and garden beds. “We started the greenhouse three years ago,” says Chef de Cuisine Jeff Potter. “Root vegetables grew successfully because they can withstand fluctuations in temperature. We tried strawberries but the yield wasn’t sustainable for our menu because of the hot weather.” Brussels sprouts took over the garden. He learned that radish flowers taste like the radishes themselves, but that if he picked the radish flower, the radish itself wouldn’t grow. That was also true with squash and its blossoms. little bit.” Supplementing produce from 610’s own greenhouse and gardens are numerous products from local farmers. “Being as local as possible means the food doesn’t have to travel as far, so there’s less time for rotting or wilting,” says the chef. “And for meats, you can tell the kind of life the animal led. Also, supporting the farming community is very important to us.” He emphasizes that simply buying organic doesn’t necessarily equate with farmto-table and believes that farm-to-table is predicated on having a relationship with the farmers. He works closely with individual producers as well as with the Bluegrass Food Connection, a group of various farmers throughout Louisville, Southern Indiana and Cincinnati. armers have become an integral part of the team at Mayan Café, one of the Louisville restaurants that has long supported the farm-to-table movement. The restaurant uses locally, sustainably-farmed ingredients, including meats, produce and cheese, as much as possible. David Danielson BEING A CHEF AND RESTAURATEUR ARE TOUGH JOBS. WHY DO YOU LOVE THEM SO MUCH? There’s something very rewarding about nurturing people and creating places for them to celebrate and eat and enjoy themselves. I treat Old Stone Inn and Tavern and Churchill Downs like my home. I want guests to have a welcoming experience. WHAT HAS BEEN THE GREATEST INFLUENCE ON YOUR CAREER? Early in my career, I spent a year working in France. That was a game changer. I had learned how to cook in Chicago, but I learned how to live in France. It changed the way I thought about the way you should eat, how you should spend time sitting at the table talking to people and how you should shop for food. WHAT DID YOU WANT TO BE WHEN YOU GREW UP? I wafﬂed every year. Once I wanted to be a marine biologist. When I was in high school and bopping around, I wasn’t sure what I wanted to do. I wound up where I was supposed to be. years. I was very excited when I heard it was coming to Kentucky. It was fun for us to host at Churchill Downs and fun for me to be involved. It was a wonderful showcase for Louisville and the state. Plus, to show farms and the things happening in Louisville that people don’t know about beyond horse racing and bourbon. TELL US ABOUT A “GEE, I WISH I HADN’T DONE THAT MOMENT.” The list is long. The good news is none of them involved any missing limbs or being dead. I’ve made a lot of mistakes but I turned the majority of them into learning experiences. YOU LIVED IN NEW YORK AND CHICAGO BUT SEEM TO HAVE ADJUSTED VERY WELL TO LOUISVILLE AND TO KENTUCKY. One reason for that is the connection with the local farmers and the ones in Appalachia. They’re why I have fallen in love with the cuisine here. They inspired me to buy the Old Stone Inn and to apply the lessons I’ve learned from them to what I’m doing at Churchill Downs. YOU WERE A CELEBRITY JUDGE ON TOP CHEF. THAT’S QUITE AN HONOR. By reading a lot and spending time with my family. WHAT’S YOUR GREATEST EXTRAVAGANCE? Watches. WHAT’S NEXT ON YOUR BUCKET LIST? A very long vacation to a beach somewhere. Last year I did a cookbook, Bourbon Country Cookbook. I can deﬁnitely see a cookbook for Old Stone Inn and Tavern. should have fun with it. Experiment and goof around. When I’m not in the restaurant or at Churchill Downs, I like to cook with my 14-year-old daughter who also loves to cook. We enjoy sitting down as a family and talking. Simple or elaborate, a meal is about breaking bread and enjoying yourself. IF YOU WON THE LOTTERY TONIGHT, WHAT WOULD YOU DO TOMORROW? Buy a couple of nice watches. And I have some repairs I’d like to make at the Old Stone Inn and Tavern. What I wouldn’t do is change what I do every day. All the money in the world couldn’t make me happier than what I’m doing right now. − Trim the chicken pieces of excess fat. Pat dry with a paper towel. In a small bowl, combine salt, thyme, garlic, onion powder and paprika. Mix well. Transfer chicken to a large mixing bowl. Sprinkle salt mixture over chicken and toss until evenly coated. Arrange the chicken pieces on a baking pan so that all the pieces are skin-side up and the breasts are in the center of the pan. Don't crowd the pan; allow room between the pieces. Cover loosely with plastic wrap. Refrigerate 24 to 48 hours. − Pre-heat oven to 400°. Bake for 30 minutes. Lower heat to 350°. Bake an additional 10 to 30 minutes, until the juices run clear when poked with a sharp knife or the internal temperature of the chicken breasts is 165°. Remove from oven and let chicken rest 10 minutes. Transfer to a serving platter and serve immediately. − In a saucepan over medium-high heat, combine water and milk. Bring to a boil. Slowly whisk in grits. Reduce heat to medium-low. Stir occasionally until grits thicken and are smooth. Stir in butter, salt, pepper and cheese, whisking until cheese is melted. Remove from heat. Stir in country ham and onions. Transfer mixture to a 9 x 9-inch pan. Refrigerate until cool and firm (3 to 4 hours or overnight.) In a small bowl, combine eggs and water. Whisk thoroughly. In a separate bowl, place the bread crumbs. − Scoop chilled grits into your hand and roll into 2-inch balls. One by one, dip the balls in the egg mixture, then in the breadcrumbs to coat completely. In a Dutch oven, heat 3 to 4 inches of oil to 350°. Fry the fritters in batches for 3 to 4 minutes, until golden brown. Drain on paper towels. Serve warm. The Derby Princesses Program This program provides an excellent way for talented young women to earn scholarship monies, while serving as official ambassadors of the city as part of the Kentucky Derby Festival, in the spring. Those selected receive two $1,000 scholarships— one from The Fillies, Inc. and the other from the Kentucky Derby Festival Foundation. Also, included is a complimentary wardrobe along with other sponsor gifts. During their tenure, they volunteer in the community by spending time with nursing home residents, reading to children as they visit local schools, assisting with feeding the homeless along with all Derby related activities. Past Derby Queens and Princess ambassadors include many civic leaders including Martha Layne Collins, the first woman Governor of Kentucky. Meet The Fillies While this group of women supports some of the most beloved events in our community, there remains mystery around the membership in this by-invitation-only organization. That’s why we gathered a few in our offices for a photo shoot including (left to right) 6-year member Tawana Bain, co-owner of AFM Threads and founder of Derby Diversity Business Summit; 15-year member Shannon Adkins, Philanthropy Officer at Kentucky Circuit Court Clerks Trust For Life and Kentucky Organ Donor Affiliates; 14-year member, Fillies President Debra Rayman; 2-year member Judge Jessica Moore; and 5-year member, former state senator and former councilwoman Julie Denton. Several of them shared the stories of how they became involved. The Children’s Tea An annual event invites young girls and boys to engage in a whimsical afternoon of fun. Encouraged to dress in their finest attire, these young children interact with the current and former Derby Queens and Princesses while doing arts and crafts and enjoying “royal” treats at the tea party. To commemorate the occasion, they take home a keepsake photo. The Fillies Derby Ball One of the most anticipated events of the Derby season is The Fillies Derby Ball. It is the prelude to two weeks of festivities leading up to The Kentucky Derby and is the event that benefits the Kentucky Derby Festival Foundation. This is Louisville’s only Coronation Ball. The evening is capped off with the coronation of the Derby Queen, who is selected by the traditional spinof-the-wheel. The Queen’s first Royal act is to “dame” and “knight” individuals to the court for their contributions to the community. All money raised at The Fillies Derby Ball supports the Kentucky Derby Festival Foundation providing educational scholarships to the youth of our Commonwealth who participate in KDF events such as the Academic Challenge, Spelling Bee, RoboRumble, and the Student Art Contest. All the hard work and long hours invested in such events as The Fillies Derby Ball and many other KDF activities, is done solely by Filly members on a VOLUNTEER basis. ant to make our day— or someone else’s? Plants and flowers always do the trick. Not only are they a sure sign that you’re thinking of someone, but they add a little beauty to their space in the meantime. Bringing natural elements into an event or home is our favorite way to make any space feel more luxe. This is the year to look at plants differently. Roses for a wedding are classic, but don’t be confined by tradition. Here are some ways we are stepping outside the box with plants this year. Join us and try out these trends for your next dinner party, or even just in your living room. Go Bold: Tropical plants make a big statement and don’t have to be high maintenance. We predict that they will be big this year with their colorful hues and unusual shapes. More than simply a statement centerpiece, they’re also practical. They can thrive in a Kentucky home, if well placed and well cared for. Think outside the season by making your plants mobile to keep them happy year-round. garlands provide an unexpected twist for event décor. The same effect can be had at home by hanging a planter in an overlooked corner of a room. Ask your local plant store for advice about easy-care plants that don’t have to drain. Go low Maintenance: Speaking of easy care, our motto of the year is “smarter, not harder.” Low-maintenance plants like succulents, ferns, peace lilies and snake plants (also known as Mother in law’s tongue) are all remarkably easy to keep alive and have a lot of presence. Remember sustainability: We are lucky to live in such a green city, but we could always get a little greener. Many non-profit groups offer gardening advice to help you create a beautiful, sustainable, eco-friendly outdoor space at little or no cost. Trees Louisville (Treeslouisville.org) arranges free trees to homeowners through their Community Canopy Project, and Louisville Nature Center (Louisvillenaturecenter.org) holds semi-annual tree giveaways. Louisville Grows (Louisvillegrows.org) offers several educational seminars and classes that cover everything from native plant education to urban gardening. Turn your yard into an oasis that reflects local flora and fauna, while providing a great entertainment space for you and valuable green space for our community. Our favorite sources are Nanz and Kraft (various locations, main store at 141 Breckenridge Ln), Mahonia (822 E Market St), Forage (1731 Frankfort Ave) and the Plant Kingdom (4101 Westport Rd). We bet you won’t be able to walk out without picking up a little something for your space too. BEAUTIFULLY CURATED HEAD TO TOE! Come Dress “Derby” with us! was looking at the monitor and was seeing what they were seeing. There was a calm about me,” says Mary Ellen Berry about undergoing a breast biopsy. The Baptist Health Pearls & Pumps #Empowering Strong Women fashion show will take place on Saturday, March 16, at The Marriott Downtown from 11:00 A.M. to 2:00 P.M. Individual tickets are $100 and tables seat eight. For information and tickets, visit pearlsandpumps.org. Immediate Mental Health Care For All Ages Help when you need it! We are the only immediate mental health care in Kentuckiana. 7:00pm, KFC Yum! Center From his team members on The Voice to veteran country artists, Blake Shelton has a history of demonstrating his support for the people in whom he believes; when he realized that fans across the country needed to hear music from his friends and heroes, he decided to bring them all out on the road. Noon - 9pm, Louisville Slugger Field Presented by the Junior League of Louisville. his year’s Tulips & Juleps indoor shopping market will host more than 65 booths boasting art, home décor, food products, jewelry, clothing, and accessories for the entire family, and more! The market features a unique blend of products you can’t ﬁnd anywhere else in the Louisville area! Then again on March 2 from 9am to 5pm. 6:30 - 9pm, Omni Hotels & Resorts The 2019 Christian Academy Gala, featuring New York Times Best Seller Bob Goff. The fundraiser includes dinner, silent and live auctions, and keynote speaker Bob Goff. 6:00 - 9:00pm, Copper and Kings VIP ticket holders will have ﬁrst access to see and purchase the work of 12 esteemed potters. Complimentary Copper and King signature cocktails provided by SXPF for our attendees along with a cash bar, hors d’oeuvres, and live entertainment. 6:30pm, Brasserie Provence Join Les Dames’ Advanced Level Sommelier for the 2nd in a series of fun & informative wine seminars on French Wine Grapes Grown Outside Of France, including history, wine-making, and tasting. Tickets Available Through Eventbrite. 3:00pm, Comstock Hall at U of L Exuberant and gutsy, the Claremont Trio has been called “the freshest breath of air in the world of chamber music.” Identical twins Emily Bruskin, violin, and Julia Bruskin, cello, are joined by Andrea Lam, piano, for a performance that will be marked by their polished, beautifully balanced and expressive playing. 10:00am - 4:00pm, Crowne Plaza LOUBIZ 19 is a one-day Small Business and Entrepreneur conference that brings aspiring and existing business owners and their employees together with franchisors, educators, industry experts, students, and resource providers. 8pm, The Louisville Palace Sending the twittering, snap-chatting pop-culture universe into complete melt-down, Songbird Supreme Mariah Carey’s forthcoming release Caution is to be followed up by a mammoth world tour, including stop-offs at 22 cities across North America in early 2019.
time set in a working pub that combines hair-raising harmonies, high-energy dance, and live Percussion with foot-stomping choreography. Public Education: Unbridled or Unraveling? 5:30pm, The Kentucky Center Kentucky to the World Presents Global Education Strategist Dr. Vicki Phillips and former U.S. Ambassador to the United Kingdom Matthew Barzun. The Kentucky Center Teddy Abrams is soloist on the piece for piano and orchestra that broke the barrier between classical and jazz. Rhapsody in Blue by Gershwin is the featured work. The Kentucky Center The Musical Parody is the comedic musical that lovingly pokes fun at TV’s Friends, celebrating the adventures of your favorite group of 20-something friends as they navigate the pitfalls of work, life, and love in 1990s Manhattan. tuckians a taste of the upcoming Derby season at its annual Pink UnTied fundraiser in Louisville. Proceeds will beneﬁt Susan G. Komen Kentucky’s mission to end breast cancer forever. March 11 LES DAMES d’ESCOFFIER KY PRESENTS WINE CLASS WITH DAME JULIE DEFRIEN 6:30pm, Brasserie Provence Join Les Dames’ Advanced Level Sommelier for the 3rd in a series of fun & informative wine seminars on Classic European Wine Regions Outside of France such as Italy, Germany & Spain, including history, wine-making, and tasting. Tickets Available Through Eventbrite. March 12 On Your Feet! The Kentucky Center From their humble beginnings in Cuba, Emilio and Gloria Estefan came to America and broke through all barriers to become a crossover sensation at the very top of the pop music world. But just when they thought they had it all, they almost lost everything. On Your Feet! takes you behind the music and inside the real story of this record-making and groundbreaking couple who, in the face of adversity, found a way to end up on their feet. 1pm, The Foundry at Glassworks Newly engaged and eager to start planning your dream wedding? Jumping in head ﬁrst into local bridal shows are the best way to hit the ground running! However, as planners ourselves, we like to give a little extra bang for your time! Bliss Wedding Show is not your ordinary wedding show! 6:00 - 11:00pm, Mellwood Art & Entertainment Center The 5th Annual Beneﬁt Bash, the evening will include dinner, dance, and a complimentary bar. There will be a collection of high-end silent auction items for bidding, with an exciting live auction following dinner. ing and Empowering Strong Women, survivorship, the newest Derby fashions, exclusive shopping, amazing brunch, mimosas, rafﬂe opportunities and more. Miss Kentucky Scholarship Organization Luncheon and Gala Noon - 2:00pm, Luncheon 7 - 10pm, Gala at Churchill Downs Come enjoy an afternoon with Miss Kentucky 2018, Katie Bouchard and Miss Kentucky’s Outstanding Teen 2018, Joanna Clark at beautiful, Starting Gate Suites inside the historic Churchill Downs in Louisville, Kentucky. 6:00pm, Brasserie Provence No Art Experience Required - just a palate for Monet’s love of Cuisine Normande and Loire Valley wine, and a desire to create. Paint Water Lily at Giverny in the style of Impressionist Claude Monet while dining à la Française. Painting Sessions are taught with step-by-step instruction by Jeanne Winrich of Uptown Art Louisville. Paired in Progressive-Style with our 3-Course Wine Dinner menu. March 19 Louisville Bespoke Bubbly Hour 5:30 - 7:30pm, The Champagnery Toast to Louisville Bespoke and meet the Designer, Models and Others who are working so hard to Produce a Fierce Fashion Show on April 12 at the Speed Art Museum - The Show is Affordable and Open to the Public! 5:30pm, Kentucky Derby Museum For the sixth year, the Museum has sought out the who’s who in the bourbon industry for a three-event series! These unique evenings will celebrate the culture, people and history of bourbon. tion! This unique and fun runway show and cocktail party will offer attendees exclusive early bird access to the most stylish looks for the 2019 Derby season and will feature over 30 models, some whom are Down syndrome. The funds raised by the event will support the educational and social growth of individuals with Down syndrome. 5pm-7pm, Bliss Home Spring and Derby styles from around Westport Village hit the runway inside Bliss Home. Fashions from Apricot Lane, Collections, Darling State of Mind, Rabbit in the Moon, Shirts Ties N Links, and Tunie’s will give onlookers a glance at the hottest looks of the season and how to wear them – including color trends, patterns, accessories, hats and fascinators. 8:30am, Kentucky Derby Museum Bring your team to network and engage with our diverse panel of local women sharing their career experiences and discussing what it means to be an empowered businesswoman. 5:30pm, Mellwood Arts and Entertainment Center This is a great way to get some huge savings while supporting a worthy cause. Our Auction is a fun evening and truly is a winning prospect for everyone involved. Featuring Live & Silent Auction, Wheel of Chance, $10,000 rafﬂe, and Great food! Our host this year will be Vicki Rogers well-known radio personality and president of V Media Group. 5:30 - 9:30pm, Horseshoe Southern Indiana The Macy’s Spring Fashion Show is Kentuckiana’s premiere fashion showcase of the year. The Fashion Show features a runway of the latest in Derby and spring outﬁts and accessories by fashion brands and local boutiques. Some of the Festival’s Ofﬁcial Products will also be featured and Ofﬁcial 2019 Kentucky Derby Festival merchandise will be on sale. 5:30pm: Cocktails, 7:00pm: Dinner and 8:00pm: Fashion Show Begins. The Kentucky Center Elegant, insightful, balanced and brilliant, pianist Andrew von Oeyen is captivating! Russian composers Tchaikovsky and Shostakovich were a generation apart but their passion for their homeland, its people and music, pulses in every beat of these two magniﬁcent works. 7:30pm, Derby Dinner Playhouse A smash-hit Broadway musical ﬁlled with one heart-pounding, high-energy dance number after another! Adapted from the Disney ﬁlm, this rousing tale is based on the true story about New York City’s newsboys striking against unfair working conditions. Runs through May 19, 2019. The Kentucky Center A royal ball at this classic retelling of Cinderella as she overcomes her wicked stepmother’s and jealous stepsisters— with a little help from her Fairy Godmother— to win the love of a handsome prince and the chance to live happily ever after. ensembles in the world. You can do it all at KCD! Westport Village • 1301 Herr Lane, Suite 105 • www.ClosetsByDesign.com • Locally owned since 1982! Your new closet starts with a FREE IN-HOME CONSULTATION TODAY! SUMMER FUN IS WAITING FOR YOU JUNE 9 - AUGUST 3 REGISTER TODAY! Delivery available in Bowling Green, Danville, Elizabethtown, Lexington and Louisville. Minimum order of $25. Free delivery on all orders of $75 or more. Must be delivered to an address. Must be 21+ to download the app and accept a delivery. Valid photo ID required.